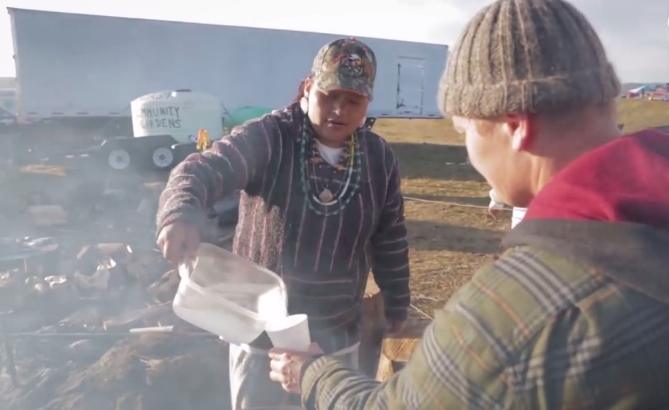 Nantinki Young has fed almost 3000 people a day to support the protest against the Dakota pipeline that would destroy many Native American lands. A member of the Rosebud Sioux tribe, Young drove 2,100 miles to join the protests and doesn’t plan on leaving any time soon. Since March, thousands of Native Americans, environmental activists and their allies — including some UC Berkeley students — have gathered at the Standing Rock reservation in North Dakota to oppose the ongoing construction of the pipeline, which is intended to carry hundreds of thousands of barrels of crude oil from North Dakota to Illinois each day. The project’s proponents say pipelines are a safer, cheaper alternative to trains and trucks for transporting crude oil. Despite promises by Energy Transfer Partners, the company building the pipeline, that it will employ technology to limit the possibility of leaks, activists opposing the pipeline argue that any oil that escapes from the pipeline would contaminate Standing Rock’s main water source, Lake Oahe. Everything you can think of I have in my shed that's over there. 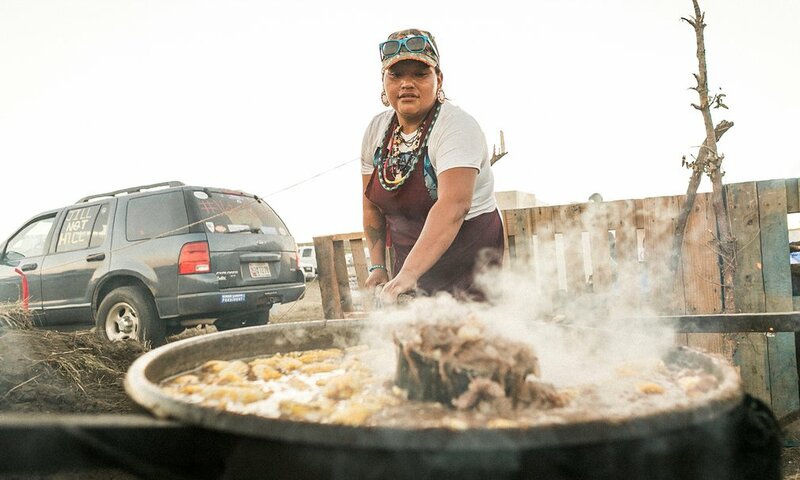 We have a refrigeration unit now so we can take everything that's coming in," says camper Nantiki Young. Responses to "Native woman is cooking for thousands of people fighting against the Dakota Access "
Bless you! That's a enormous task. NANTIKI WOPIDA ICICIYE OUR PLACE AS WINYA IS TO COOK OUR PRAYERS AS COOKS IS THAT THE FOOD WILL STRENGTHEN THE NATION FOR WHAT THEY HAVE TO DO EACH DAY.